Do you want to advocate for increasing funding & investment in medical research? Would you like to join thousands of advocates from across the country in meeting with key lawmakers and staffers on Capitol Hill? 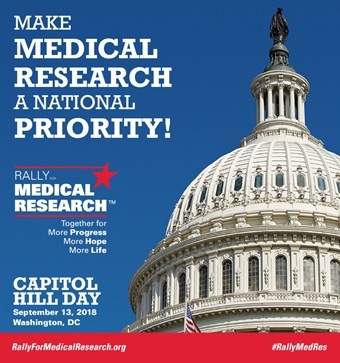 If so, join Columbia University Irving Medical Center in supporting the Rally for Medical Research Capitol Hill Day on Thursday, September 13. National research organizations and medical research advocates will converge on Washington, DC, urging Congress to provide sustained funding increases for the National Institutes of Health in fiscal year 2019 and beyond. As September is National Childhood Cancer Awareness Month, this event is the perfect opportunity to raise awareness and support for increased research funding for childhood cancer. Approximately 4% of government research dollars go towards studying pediatric cancers. 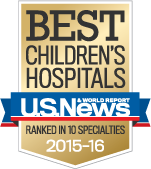 With cancer being the number one cause of death by disease among children, increased investment in this area is desperately needed. 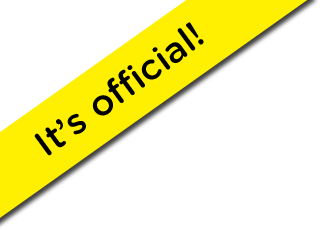 According to the official agenda, a training session and evening reception will be held on Wednesday, September 12. On the morning of the rally, there will be a kickoff-breakfast. Afterward, participants will work in teams as they meet members of both the House and Senate. Participation in the rally is free. Travel costs to/from the event are the sole responsibility of each individual. For more information about Rally Day or to register, visit http://bit.ly/2nFajfh.